My Mother inspired me to run… now I am a mother inspiring others to run! 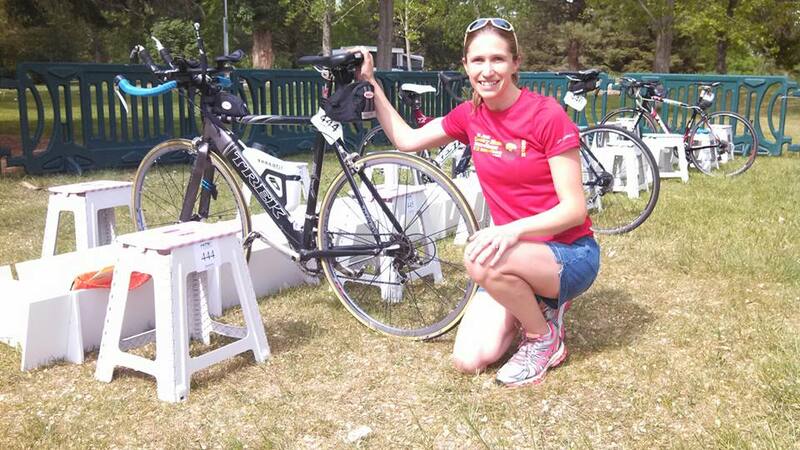 Sure, doing something like a half Ironman with hypothyroidism might make you a little tired, but don’t let that stop you from living your dreams! It has been just over a year since I found out I have crappy thyroid. They ran a few blood tests during a routine physical and soon informed me that my thyroid-stimulating hormone (TSH) was elevated above the normal range. TSH is responsible for telling your thyroid that it needs to produce more hormone. If the TSH is too high, then that means it has to keep reminding the thyroid to produce more hormone (kind of like your mom nagging you to clean your room when you refuse to listen the first time). So, when you are diagnosed with hypothyroidism it means that your thyroid is not producing enough hormone. I was lucky that I was even diagnosed (well, I suppose I shouldn’t consider myself lucky) because most people are unaware of the fact that they have hypothyroidism. I never thought twice about being overly fatigued because I am so fortunate to have already been diagnosed with Thalassemia Minor (another story for another time, but it basically causes a decreased production of hemoglobin and creates anemic symptoms… but not the type that iron supplements can fix). Other symptoms of hypothyroidism can include: excessive weight gain, hair loss, swelling, digestive issues, low body temperature, weakness, yellowish skin, muscle aches, depression… and the list goes on. The long list of symptoms is no wonder why people would not be immediately led to assume that hypothyroidism is to blame. Fortunately, hypothyroidism can be managed with medication (that you have to take every day for the rest of your life). However, it is often hit or miss and TSH levels can change based on what you eat, how you are feeling, what the temperature is outside, etc. It is difficult to pinpoint an exact dosage that will keep your thyroid actively producing the right amount of hormone. I am never really quite sure if I am tired because I ran 10 miles, chased 3 kids around the house, cooked dinner, did chores and worked with my clients all in one day or if it is my thyroid on the fritz. Running (as long as you don’t overdo it) is supposed to make you feel re-energized and ready to start your day! At least that is what I always tell my clients. However, sometimes I feel like it makes me downright exhausted. If I haven’t done a long run in a while, then it is almost necessary to come home and take a short nap right away if I am expected to accomplish anything else the rest of the day. To make matters worse, I have often been told that running too much (or being involved in too much strenuous activity) can exasperate the symptoms of hypothyroidism. “Well, you probably shouldn’t be training for a half Ironman in that condition.” Well, screw you. Don’t you know that runners are hardheaded? I wouldn’t necessarily recommend my approach, but I also would never tell anyone to stop doing something that they love just because your body might not be operating at 100%. I mean, who really operates at 100% anyway? I’m almost certain that nobody has a perfectly functioning body (unless you are a robot). So, as a not-so-restrained runner, I just have to accept the consequences for my actions. If that means being a little more tired and finding the need to fit in a nap, then so be it. I don’t give a crap if you judge me for my midday couch slump. I have to work at 150% while the woman next to me with the normal functioning thyroid can keep it all in check at 100%. It’s just another one of those challenges that only makes you stronger (at least that is what I keep telling myself). I know that I could have it much worse if my TSH levels go through the roof. I could gain weight (even after running 2 hours a day while eating only vegetables), lose my whole head of hair and slump into an extreme depression (which would probably keep me from running and cause me to gain more weight as I eat my misery in cupcakes). If you know that something isn’t quite right, then don’t wait to have it checked out. Figure out what the problem is so you can fix it (the best that you can) and find a way to continue moving forward. Sometimes challenges try to keep us from doing what we love, but don’t succumb to the easy path. Take the road less traveled and find ways to use your experiences in order to help those you see struggling along the side of the road. 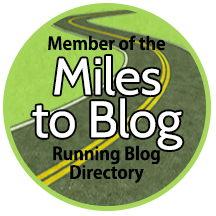 This entry was posted in Running Tips and tagged fatigue, hypothyroidism, running, running and exhaustion, running with hypothyroidism, symptoms of hypothyroidism, thyriod issues, thyroid stimulating hormone, weight gain. Heidi thank you for sharing your blog it motivates me to keep going . Like you, I have Hypothyroidism been diagnose for about 16 years and still have some hard times, I am trying to become a runner, been walking and running for no more than 30 min at day, more walking than running. Any suggestions?, I love to reach my goal, I’m preparing for a 5k in May 17, love all the advices, thank you . I know that some days are tougher than others depending on what your TSH levels are doing. I feel like they fluctuate so much and some days I have more energy than other days. I often find myself trying to squeeze in a short nap whenever I can manage. As for the running, you just need to add a little bit at a time. If you try to do too much at once then you will become too fatigued. So, if you are doing 30 minutes, then try running longer intervals. For example, if you are at a 2 min run/2 min walk, then try 2.5 min run/2 min walk for a week and then the next week bump it up another half a minute for running. Just do a little at a time. If you decide to increase the amount of time for a week (let’s say 35 minutes instead of 30 minutes), then don’t change the intervals because you don’t want to increase more than one thing at a time. It takes small steps (which takes quite a bit of patience :). However, you do need to break out of your comfort zone, especially if you want to make changes in your weight. It is pretty much a balancing act! I hope that helps!